It was a pleasant work day, and my last “in office” day of the week! Tomorrow we have the option of working from home since half the office is traveling for the 4th. That will save me a minimum of an hour and a half of commuter time which will be nice. Especially since I need to pack for the beach and prep for the P’tree! Abs was almost completely out of food so we took a trip to Petsmart, and then straight to the park for a walk. 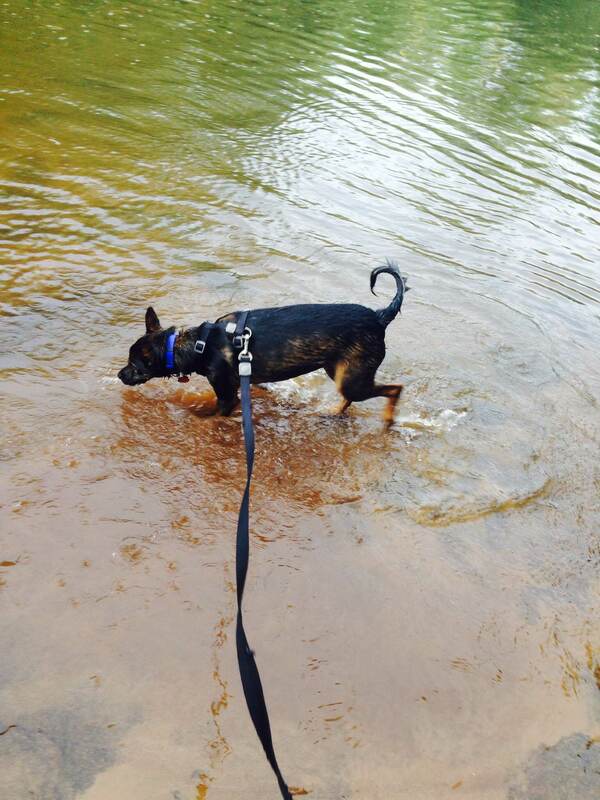 It was pretty warm so I let him get in the river… which he loved! And really I should have been running since the 10k is in 2 days, but oh well. Only one more day of work, the race, some family time in Elberton and then a couple days at the beach with Andy and his family! Woo hoo!